The unique tang of fresh ginger combined with the pungent flavor of Garlic in Chinese food is some thing I love. It is not just pleasant to one’s tongue abut also to one's the eyes, nose and imagination. For me best Chinese food is the one which has color, aroma and unique fragrance. The aesthetic presentation of food itself is an art and I’m still learning to master this unique food style. 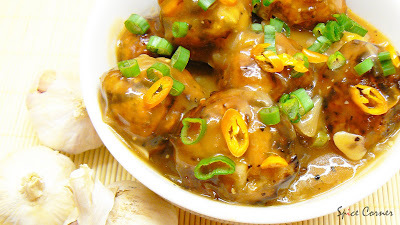 Today I am posting my favorite side dish Veg Balls in Garlic Sauce. This is my favorite side dish which goes very well with veg noodles or steam cooked rice. Well, this is my own recipe which I shaped to match my taste. 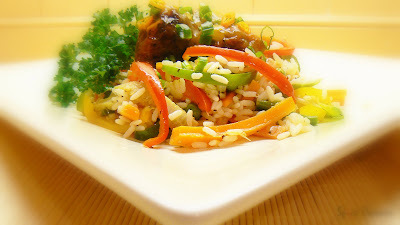 Check the recipe of Veg Fried Rice. Heat oil in wok and stir fry the vegetables with ajinomoto for 2-3 minutes. Turn of the gas and keep it aside to cool. To these vegetables add salt, soya sauce, pepper powder, bread crumbs, corn flour and mix well. Add water only if required. 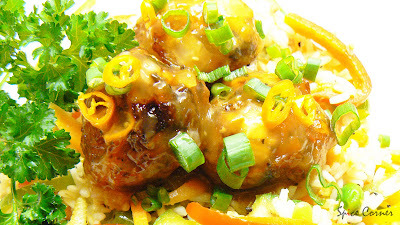 Make small lime sized balls and deep fry in oil till they turn golden brown. Drain them in paper towel and keep them aside. Heat oil in wok and add finely chopped garlic, spring onion, green chillies and ajinomoto and fry for 2-3 minutes. To this add tomato sauce, soya sauce, salt, sugar, pepper powder and enough water. Add water to corn flour and make thin paste and add this into wok slowly. Keep stirring the sauce till it thickens. Usually it takes 5-7 minutes. Dip veg balls into the hot garlic sauce just before serving. Serve this hot with veg noodles or veg fried rice and enjoy! Garlic was worshipped by the ancient Egyptians, chewed by Greek Olympian athletes and thought to be essential for keeping vampires at bay! But it is also good for zapping bacteria, keeping your heart healthy, warding off coughs and colds. drool drool drool....Sia, that's all I have to say. Nice recipe. Is this the same as veg manchuria? Superb Entry for JFI. My mouth is watering.Thanks for sharing. i always wait for your lovely post and lemme tell you each time i come to your blog love to see such a nice pics hear.Just can tell you that my mouth starts watering.Once again nice one. thanks a lot. and hey this is not a entry for JFI. You really have the knack of good photography . Really tempting me . Thats like a visual treat!!!!!! I enjoyed reading your Meme,i felt similar when i read that you remmebr most of your relatives and b'day date,even i do. My parents sometimes wonder and ask me,how can you remember those even now.I can rememebr my schooling classmates b'day date even now,who is not friend of mine,just classmate thats it..
You have mastered the art of our neighbors Sups!! :))Great pics too. Oh btw!! :)) I have 11 uncles and 7 Aunts from both sides of my parents and their spouses and two kids each!HeHeHe!! take ur own time ashakka:) i love reading ur MEMEs. Oh my god! your recipe is making me soooo hungry!! Wonderful and unique recipe! Good going girl!! This looks fabulous, will try it soon. Thanks for sharing. thanks girl and let me know when u give it a try. 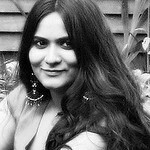 Suppi, Lovely pics gal as always. Loved your presentation and ha ha loved those veg balls. Thanx for tagging me suppi. Yes, I do recall that you loved collecting hand bags and sandals. Nice MeMe gal. Mouthwatering entry for JFI. look at those pics !! Got your message~ will take up the tag in the next post for sure! Hope you and hubby had a nice day! Veg balls ,Garlic sauce Something interesting. Pictures are beautiful. Loved reading your MEME and those beautiful veg balls are looking super delicious. Just the way you said it, " Best Chinese food is the one which has color, aroma and unique fragrance", thats the way I like chinese food. 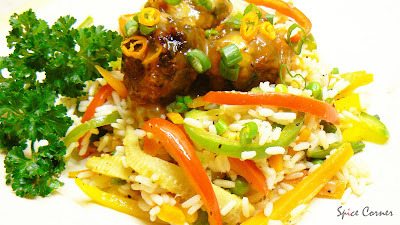 i think you are very good with chinease cooking , i really come to your blog when i have to cook something like that. I tried your baby corn manchurian before, and it was great . thanks for sharing . Navrtan Dosa is also nice, just dont get time to frop by anyone's blog in last days. ha ha vani...looks like we share some common interest here. 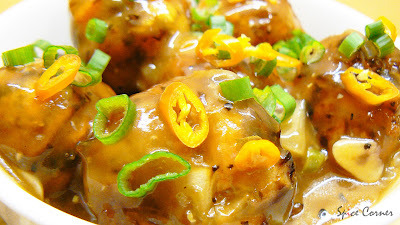 i'm glad that u liked babycorn manchurian. they are my fav too and K loves it a lot. Tag - Done and Posted Sia! Great recipe; One of my favorites! what a great idea..nice dish..nice to know about u..
Hey, I'm a pickle hunter too! And I have a huge extended family as well! Superb..I made this with Veg Fried Rice and Spring Rolls. Hatts off to your Indo-Chinese Recipes, you gave me a complete Menu. Wow.. Lovely Indo chinese recipe Sia.. mouth watering pic :)!! This is one of my favourtes too! Somehow I haven't made it for sometime. You just made me want to have it - maybe tonite?! i have been craving good indo chinese food and was not satietated as atlanta indian restruants are not very good.i have tried making this many times before and have always been very disappointed.i made veg balls with hot garlic sauce and veggie fried rice tonite and it was sooooo good:-)it was just like eating at a restruant in bangalore back home.thanks for the great recipe!!! I came across your blog purely by accident... but so glad I did! yes, it is tomato ketchup. glad u liked it:) next time if it breaks while deep frying, add little more corn flour to the base and mix well so that the veg balls hold well.